No doubt you knew what kit you needed for a special duty or deployment while serving in the Canadian Armed Forces. 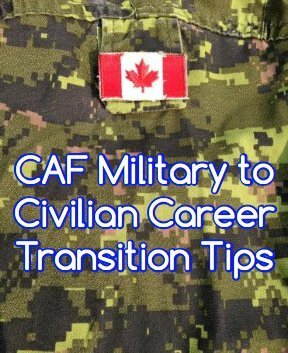 In order to secure the right role once you leave the CAF, there are some critical elements to place in your career kit. Print off your MPRR. It has EVERYTHING. Enough said. Make sure you have as many of your PERs as possible. These indicate your primary and secondary duties, validate some courses, can be used for quotes on your resume, and share your achievements. By having your PDRs, these can be applied for course comparisons for advanced standing at post secondary educational institutions. They also serve as a reminder of what you know/studied. Internal “bravo zulu” memos and letters of appreciation can also be a source for quotes for your cover letter or resume. Take the time to ensure your security clearance is renewed and valid by contacting Public Works and Government Services Canada (PWGSC). This is the federal department that holds your clearance. In addition, get a hard copy from your unit security officer. Calian can also hold your clearance. If you have not already done so, compile all of your documents and certificates in one binder for quick and easy access and to share if needed. Build your cover letter, resume, LinkedIn profile and start networking. Keep every job ad that you apply to because once the posting expires, you won’t have the role description to refer to during the interview. Save each version of your cover letter and resume. These are tweaked for each application and you need to have the same documents that the interviewer holds. Record the name, title and contact coordinates of all interviewers so you know who to send email thank you messages to. This allows for easy recollection who you’re speaking with when you get a call. Get a copy of your formal HR job description. This is helpful for resume updates. Continue to maintain a “brag sheet”. This forms the basis of positive performance reviews and can serve as leverage for raises. Speaking of performance reviews, keep these as well. Like your PERs, they can serve as quotes for future marketing collateral and proof of achievements. Update your LinkedIn profile with your new employment. It sounds like a lot of work but if you get in the habit of tracking and maintaining these systems and documents, it will serve you well. I wish I had seen this when I retired in 2006. I completely and strongly agree with this advise.